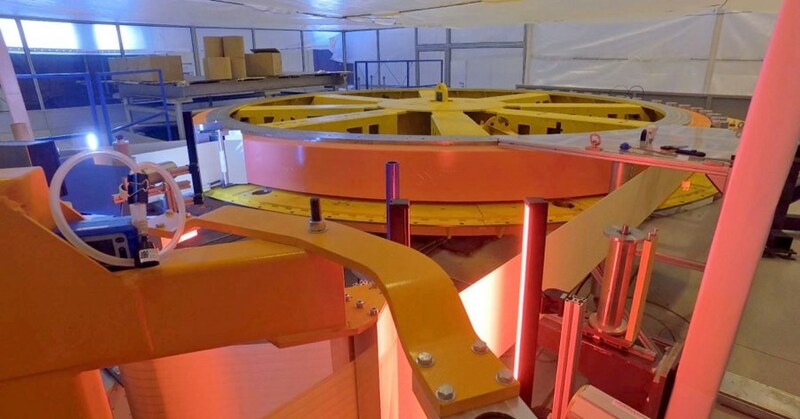 After lengthy development, prototyping and test phases, the composite rings designed to help ITER's toroidal field coils cope with huge out-of-plane forces have been cleared for fabrication. In ITER, the electromagnetic interaction between the toroidal field coil current and the magnetic field generated by the poloidal field coils will create huge stresses on the toroidal field coils. Pre-compression rings will be installed at the top and bottom of the coil structures to "push back" with a centripetal force of thousands of tonnes, suppressing any deflection and greatly reducing cyclic fatigue stresses. ITER's pre-compression rings are among the largest and most highly stressed composite structures to be designed for a cryogenic environment. Five metres in diameter, with a cross-section of 33.7 cm x 28.8 cm, the rings are made of a composite that consists of more than one billion minuscule glass fibres glued together using epoxy resin. 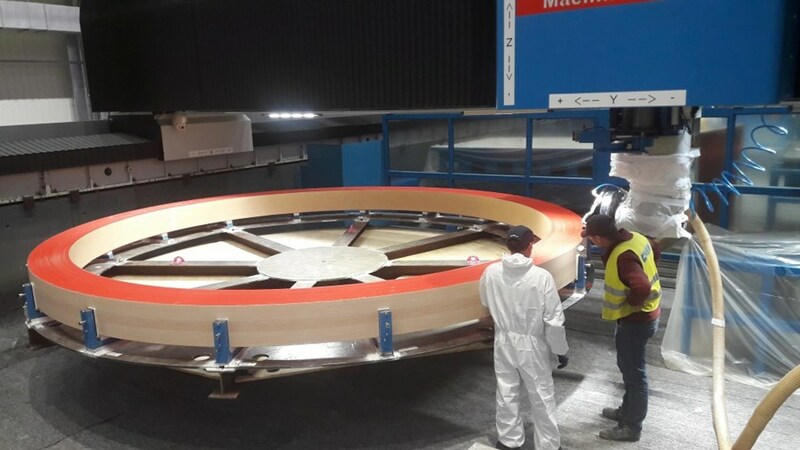 Prototypes produced by European Domestic Agency contractor CNIM (Toulon, France) have responded well to the demanding tests underway since January, opening the way for fabrication to start on the first production unit. CNIM will manufacture nine pre-compression rings in all (three top, three bottom and three spare). CNIM has partnered with Exel Composites (Finland) for the raw material—a pultruded laminate delivered in lengths of 2.8 km (2 mm thick) on spools. Each laminate profile is wound into one ring on specialized winding tooling, with alternate layers of 0.12 mm-thick epoxy tape applied. The completed ring is cured and then machined to the required final dimensions. Winding started in late February and the first curing operations took place in March. All nine pre-compression rings are expected to be completed by mid-2020. See the full report on the European Domestic Agency website.